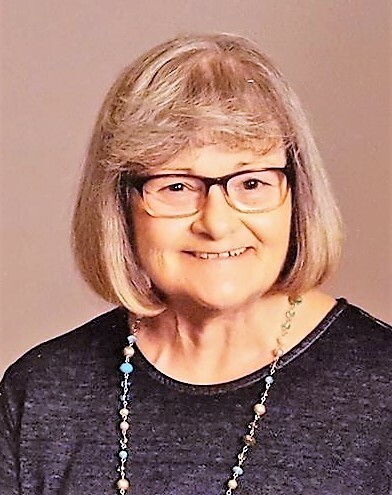 Judith LeAnne DeLong, 67, of Pleasant Hill, formerly of Blue Springs, Missouri, was born, December 13, 1950, in Kansas City; the daughter of Joseph L. and Merna L. (Eckhardt) Mansell. She departed this life, Monday, October 8, 2018, at the Lee’s Summit Medical Center. Judy was a 1968 Blue Springs High School graduate. On September 14 1968, she was united in marriage to James J. DeLong in Blue Springs. They had just celebrated their 50th anniversary. Judy was a homemaker. She had also been a Cosmetologist and Hair Dresser. She owned Judy’s Courtesy Beauty Salon in Pleasant Hill. After selling her salon she worked as a Cosmetologist for the Jones Store in Independence. Later she became the Director of Activities for the Pleasant Hill Health and Rehabilitation Center. She was a member of the Pleasant Hill First Christian Church and a former member of the BPWA. She enjoyed gardening, crafting, sewing, shopping, and bowling. She especially loved spending time with her family; especially her grandchildren. Judy was preceded in death by her father. She is survived by her mother, Merna of Oak Grove; her husband, Jim of the home; three children, Diane (and Isaac) Snow of Pleasant Hill; David (and Caprice) DeLong of Kingsville; and Donna DeLong-Guffey of Windsor; 9 grandchildren, Andrew (and Paige) Snow of Lee’s Summit, Amanda Snow of Pleasant Hill; J.R. DeLong, Alyssa DeLong, and Mercedes DeLong, all of Kingsville; Billy Kennedy of Sedalia, and Jesse DeLong, Jodi DeLong, and Dani Guffey all of Windsor; 3 great grandchildren, Bentley, Carter, and Paisley; one brother, Bill (and Betsy) Mansell of Blue Springs; two sisters, Sheryl White of Brookfield, and Jowain Wayman of Pleasant Hill; other relatives and friends. Visitation was held Thursday, October 11, 2018, at the funeral home. Funeral services were held Friday, October 12, 2018, at the funeral home. Reverend's Kent and Carla Deubner officiated. Interment was in the Pleasant Hill Cemetery. All her grandchildren served as casket bearers.